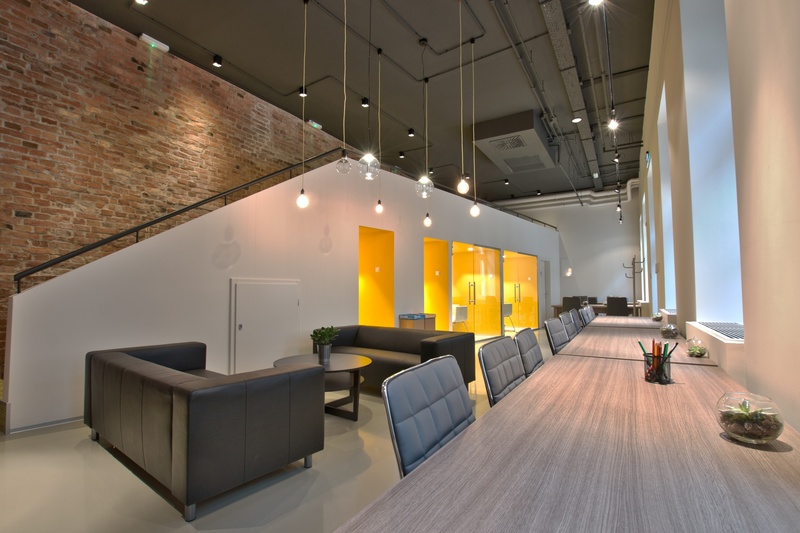 The multifunctional space has been in expanded by “Szindbád” Coworking Office&Event Hall and the renovated open-air courtyard. Esernyős became very popular because of it’s and unique multifunctional purposes. 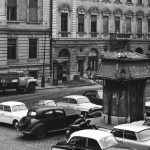 Besides being a cultural center of the area, Esernyős has a leading role in organizing of the successful event Bike&Breakfast and runs the Coworking Office&Event Hall and the smallest café of Budapest, the Gaslight Kiosk. 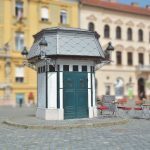 The unique looking small building in the middle of the Main Square of Óbuda is called „The Gaslight Kiosk”. This industrial monument was built in 1929 and served as a gas regulator until 1969. For some years it was used public rest room or an ice-cream shop and from the nineties it has been abandoned for decades. 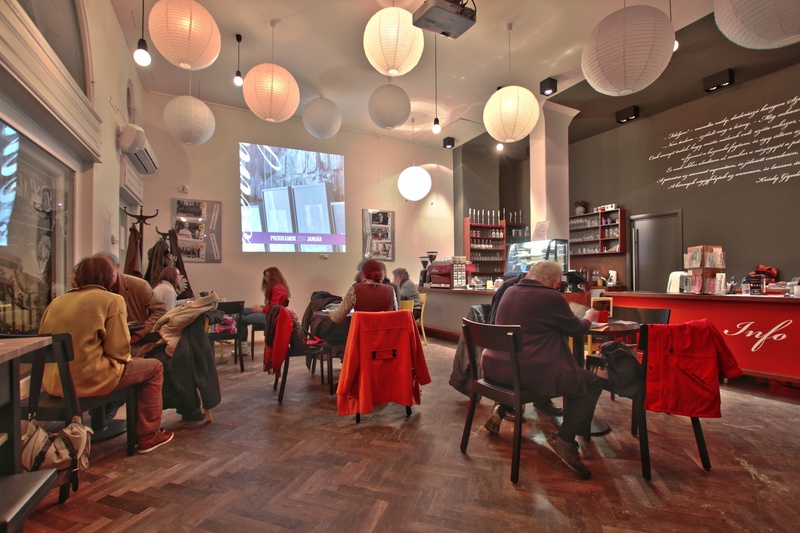 In 2015 it has been renovated and became the smallest café of Budapest. The small café has been renovated in 2015 and it was reconstructed in the original state. This only 4 square meter kiosk has a basement that serves as a storage for beer barrels, refrigerators and beverages. The Gaslight Kiosk is one of the best examples of urban renewals insomuch that it got the prize of the professional jury of BVA as „the best pop-up terrace” of Budapest. As witnesses of the old times there are 4 gaslamps on the roof of the kiosk that still work with gas. And to a special place belongs a special blend as well. The Esernyős 42 Blend is made from light roasted coffee-beans, selected from Brasil, Rwanda and Ethiopia and prepared with the „Ferrari” of espresso machines, La Marzocco coffee machine. This coffee is made only at these few square meters in whole Hungary. 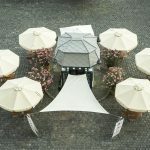 While the guests are sipping their coffee under the parasols they can enjoy the timeless atmosphere of Óbuda. 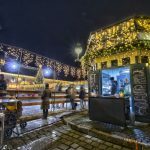 Even professional designers noticed the unique looking café and Gaslight Kiosk became the”best pop-up terrace” of Budapest in 2016. 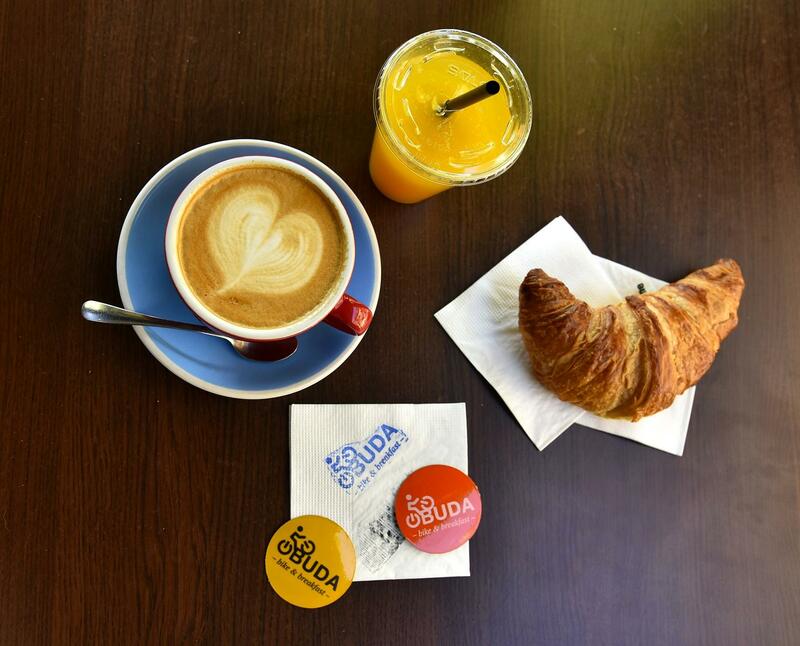 Explore the smallest café of Budapest! 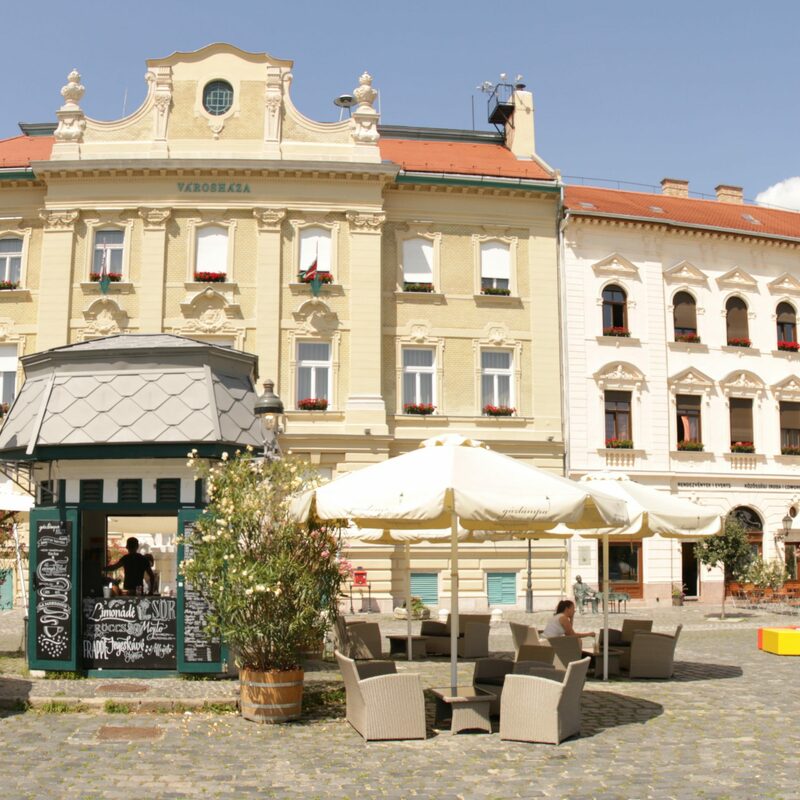 The heart of Óbuda, the picturesque Main Square has a unique, genuine turn of the century milieu. Passing through it we could easily find ourselves in the middle of a concert or a colourful handicraft market, because musical and gastronomic festivals take place here and at the iconic outside venue Kobuci Garden from the spring till the autumn. During the winter the square turns into a cosy Christmas market with a free skating rink. The statue of the waiting ladies holding their umbrella’s is a popular place to take pictures for local and foreign visitors as well. So much so, that the nearby Esernyős (that means „umbrella-place”), the cultural, touristic and information point of Óbuda is named after the „umbrella-ladies”. It’s an ideal spot to start our tour through the district. 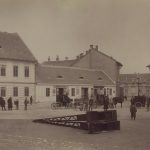 In the middle of the square stands the smallest café of Budapest, the Gaslight Kiosk which is an innovative reconstruction of an industrial monument. The area of the Main Square is certainly worth of a closer look. 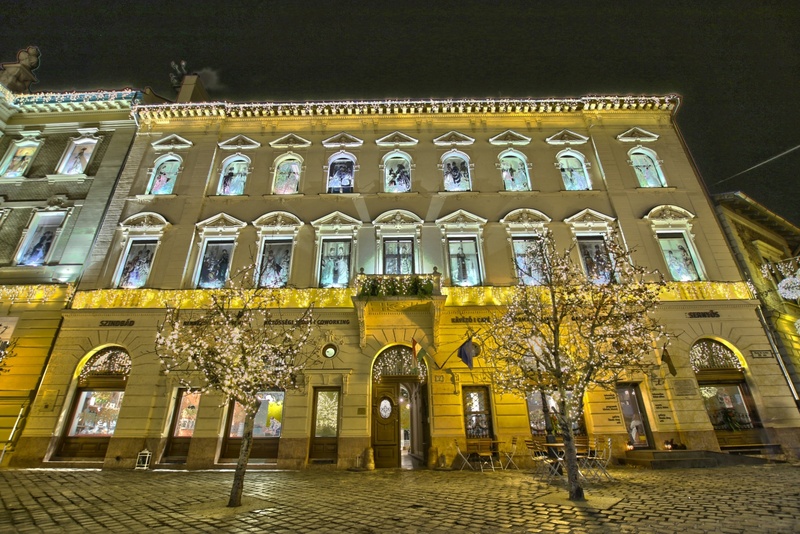 We can spend a whole day visiting the Museum Quarter of Óbuda, discovering the collection of The Óbuda Museum, The Kassák Museum and the world-famous Vasarely Museum, all situated in the Zichy Mansion. The museums are continuing under the Southern part of The Árpád Bridge, the so-called Krúdy Quarter as well. 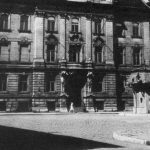 This nostalgic place with numerous small restaurants and cafés was named after the Hungarian writer, Gyula Krúdy. The interactive programmes of the Hungarian Museum Of Trade And Tourism or The Goldberger Textile Museum can be fun for big and small. During our walk we pass the baroque Parish Church of Saint Peter and Paul, the newly renovated Synagogue or the big murals inspired by the reformation or the novels of Gyula Krúdy. Óbuda, more precisely the Hajógyári Island is the home of the famous Sziget Festival that attracts hundreds of thousands of visitors every year. The Danube bank called „Római” is an ideal place for leisure activities like biking, rowing, fishing, romantic walks or a night out with friends. The surrounding hills are popular tourist destinations with hiking paths and beauty spots. Our visit of the former Roman settlement at the territory of Pannonia takes us two thousand years back in history. The remains of the civilian town in Aquincum, the two Amphitheatres and The Bath Museum are the silent witnesses of a great empire. Discover Óbuda, the district with two thousand years of history, various cultural and gastronomic programmes, accommodations, sparkling lights, spices and adventures. Bike&Breakfast is a regular event that promotes healthy lifestyle. It has been initiated by the Municipality of Óbuda-Békásmegyer in 2016 and became very popular in a short period of time. The event is every last Friday of the month and is coordinated by Esernyős. Bikers get a healthy breakfast at the Bike&Breakfast Points, since 2017 there are six of them. It became so succesful that from May registration in advance is needed. The very first coworking office of Óbuda is also run by Esernyős. It’s an ideal environment for local businesses without own office for business meetings and a quite working place with professional equipment and innovative solutions. Three stops with suburban railway from the heart of the city it’s also very easy to access. In the year of the opening, 2016 it was nominated for The Office Of The Year.